1) THE DEAL ALMOST FELL APART – New lawsuits from former Beats associates and the fine print of what role Beats executives would play post-acquisition almost scuttled the deal. But talks have resumed and are back on track. 2) IT'S NOT AN ACQUIREHIRE, BUT… – While we don't buy the theory that the purchase is an acquirehire, Beats founder Jimmy Iovine and Dr. Dre will both play significant roles in the new combined company. Both have proven to be adept arbiters of taste and master marketers. Dre also brings cache and Iovine is a proven deal maker. 3) IT IS ABOUT STREAMING – While $1 billion a year in headphone sales and the cache and executive talent that come with it helps justify a $3.2 billion price tag, a major motivation behind the deal is that getting streaming right helps keep Apple in the music game. 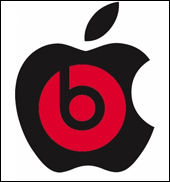 Download sales are shrinking and Beats Music allows Apple to be enter streaming with a mature and well designed offering. Don't count Spotify and the others out, but the Beats Apple combo is a real competitor on day 1.